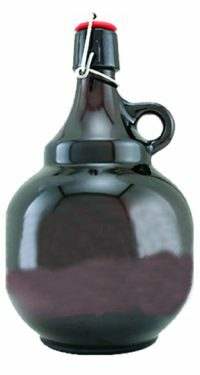 Our fliptop Palla growler is the perfect way to send your clients home with not only your newest creation, but a piece of branding that's memorable. These are a dark amber brown with a red flip top, hold two liters, and come packaged 6 per case. DejaBrew can Decal, deep etch or print your branding on every single one- call today to speak to an expert.